A podcast about all things Macintosh. For Mac geeks, by Mac geeks. Show 295. New Mac hardware rumors. Apple’s iPad developer Black-ops. iPad, is the content coming together? Is your Mac about to get less secure. Full priced iPhone available from US Apple Stores. Apple leads PC in operating revenue. Tip: PDF to iPhoto. What’s your iPad for? Applecare, should you care for iPads. Applecare success stories. Finder has x-ray eyes. Where did that come from? I just got word that the Microsoft Mac BU has released Microsoft Messenger for Mac 8 Beta. Now normally I wouldn’t get excited over an update release of a chat client, but this version finally brings audio and video support to Messenger on the Mac. I mention this specifically because I know a number of you who have wanted to do video chat with friends and family who are on Windows and won’t run anything except Messenger. I haven’t tried the new features yet, but would be interested to hear from any of you who have. You can download the Microsoft Messenger for Mac 8 Beta here. Interesting to note, but likely not a huge cause for concern. The section goes on to explain that you may need to open up some router ports to make the audio and video connections work properly. Details can be found here. Another significant point from the release notes is this beta version is for personal accounts only. You will need to have an account registered with or an ID on the Windows Live Network. 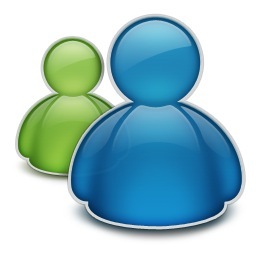 Corporate users with an Office Communications Server won’t be able to use the Microsoft Messenger for Mac 8 Beta. Once in a while you’ll check your Macintosh HD and be astonished that you only have 4 GB free. Maybe not the case with newer Macs – but for those of us running a 60 GB Macbook or MacMini something must be done. That’s where GrandPerspective comes to play. Not only is it free, but if offers a beautiful visual representation of your data. It may not do much more than that but it does what it’s meant to do perfectly. If you want something with more advanced options, WhatSize is available for $12.99 (USD) . To get GrandPerspective heard over to their SourceForge.net page. A podcast about all things Macintosh. For Mac geeks, by Mac geeks. Show 294. We talk gaming on the Mac with Scott Johnson (Film Sack and App Slappy) and Brian Ibbott (Coverville). Valve and Steam on the Mac. Does this change the game or just expand it? Ye old Mac vs. PC as gaming platform debates. Blizzard, Starcraft II Beta for Mac in April. iPad, does it mean anything for gamers? A podcast about all things Macintosh. For Mac geeks, by Mac geeks. A special episode of the Maccast with John Chaffee from BusyMac. John and I missed each other on the show floor at Macworld Expo 2010, but I heard a lot about his product BusyCal (a great alternative to iCal). A couple weeks ago I was able to grab John on Skype and we talked about BusyCal, his past life working on another great Mac calendar app, Now Up-to-Date, and about his impressions of Macworld Expo 2010 in general.